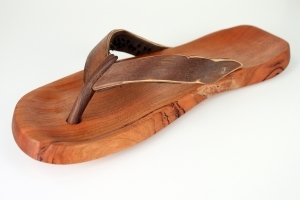 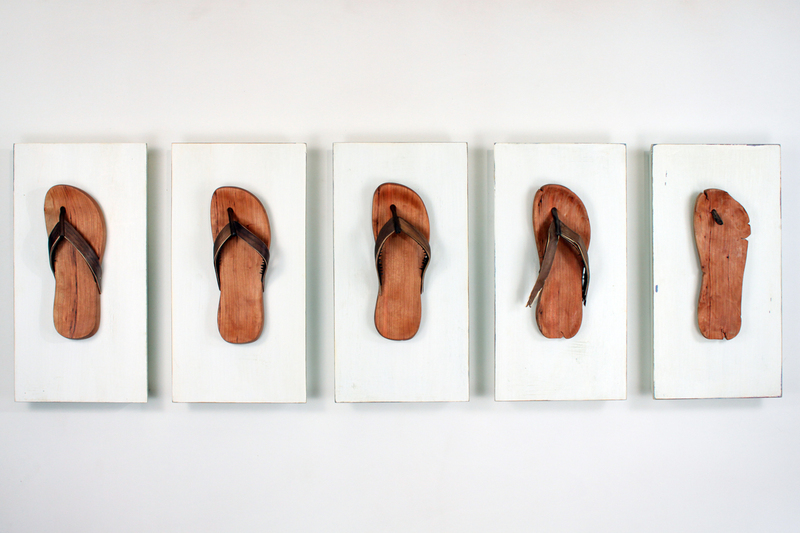 From American college frat houses to Indonesian agricultural fields, river banks, thrift stores, private beaches and trash heaps around the world, the modern-day flip-flop touches us all. 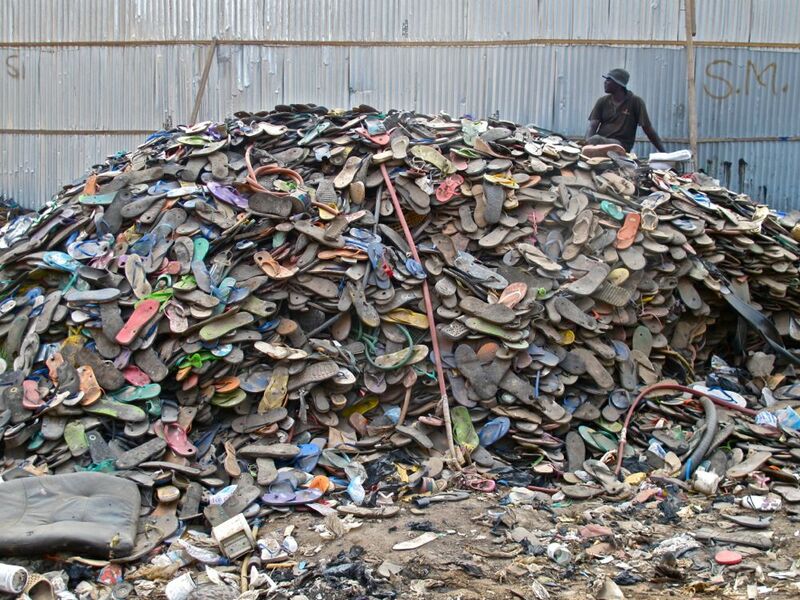 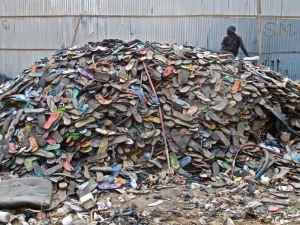 I ended up coming across a great image of a mountain of flip flops in Ghana by Elisa Casas at Vintage Is Green that speaks to this in volumes (at the bottom right). This great barometer of cultural human conditions was the inspiration for Things Fall Apart. 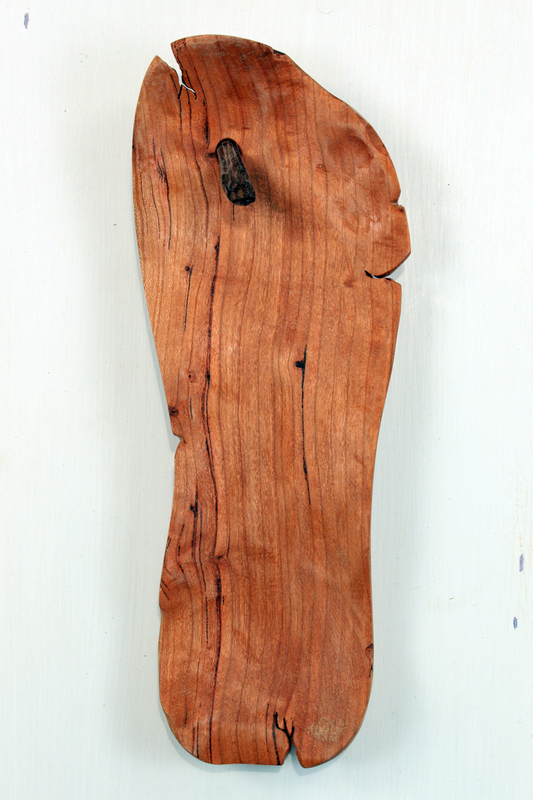 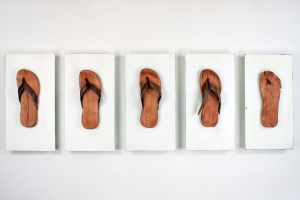 This wall piece is a portrait of a spiked, disintegrating flip-flop in 5 stages. 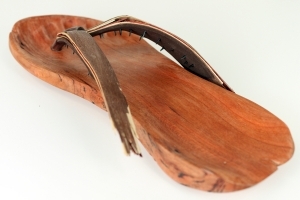 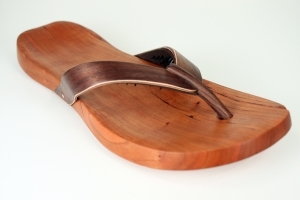 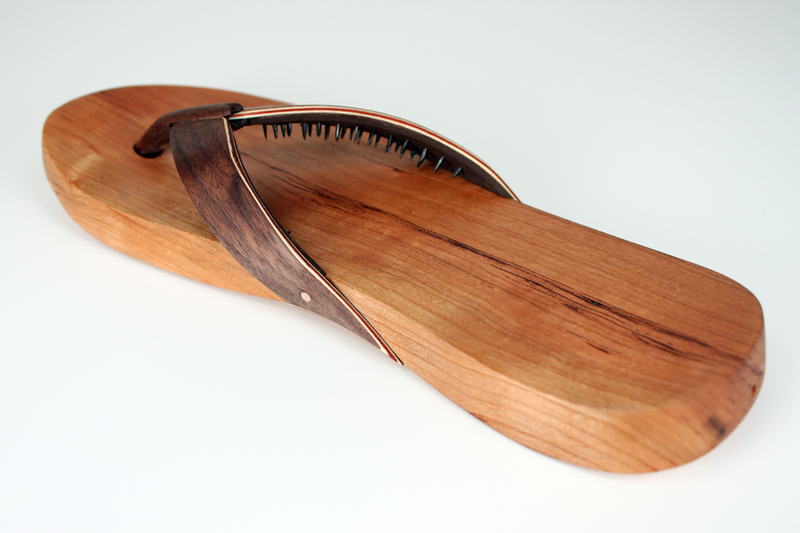 Each flop is hand-shaped cherry with a bent-laminated walnut strap with inset cut tacks.